82% of consumers will do a Google search to find local businesses online when they are ready to buy. If your business isn’t listed in the top 3 search results, you are losing sales to your competitors who are better positioned on the Google maps results. Case studies have shown that 96% of all searchers don’t look past Google’s First Page when searching for a local business. Consumers are using computers, laptops, tablets and mobile phones to find local businesses and services like yours. Google’s criteria for deciding which companies they will display in local search results is a closely-guarded secret. And, Google is constantly changing and altering its search criteria. This is why you need expert help if you want to improve your chances of getting your business found online. 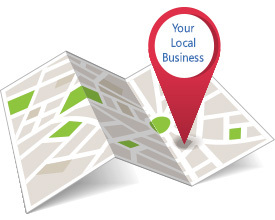 Maintaining your position in Google’s Local search results is no simple task. It requires constant monitoring and maintenance to stay current with Google’s ever-shifting search algorithms. Your business needs a properly formatted and optimized Google My Business page set up to enable customer reviews for your business in Google’s powerful search and maps infrastructure. The more 5-star reviews your customers submit to Google, the better your chances of ranking high in Google’s local search results. Google My Business optimization can help you reach more local customers when they are ready and eager to buy your products and services. We stay current with Google’s constant changes so we can give you a competitive advantage in your local area. If you are ready to give your business a boost in the Google local search rankings, schedule a call now and request your Free Google My Business consultation.